Home » Kitchen » Kitchen Faucets » 7600-12 Hunley Bridge Faucet 12"
7600-12 Hunley Bridge Faucet 12" Contemporary. The Hunley Bridge Faucet is a innovative, modern design. The unique, long reaching 12" articluated spout and two-handled lever design is made from solid brass or stainless steel for a lifetime of durability. 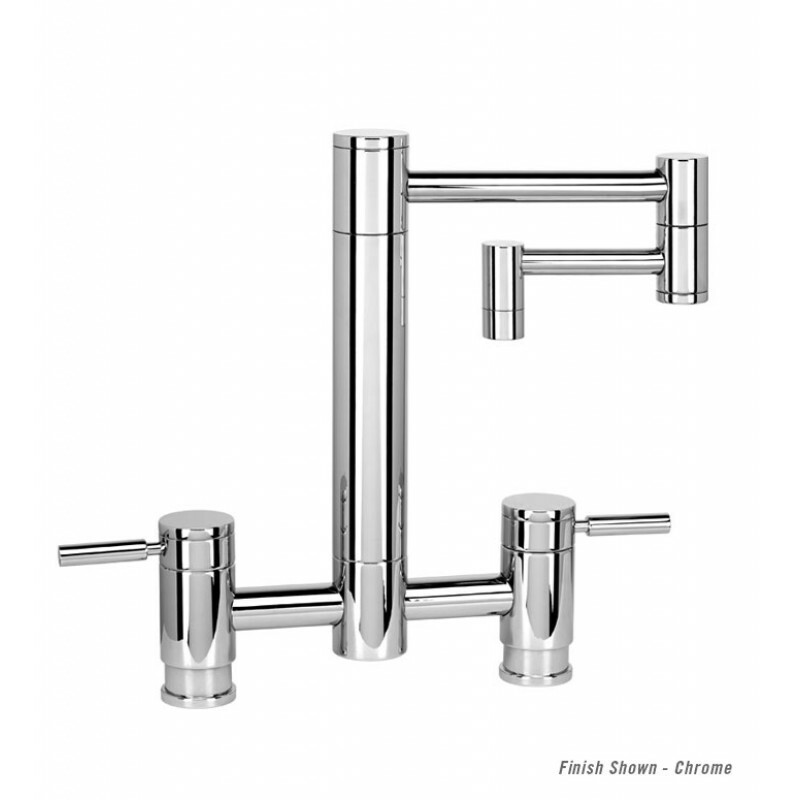 The contemporary style Bridge Faucet mounts to the sink or kitchen countertop and has a built-in diverter for connection to optional sink side sprayer. Part of the Hunley Contemporary Suite, this Bridge Kitchen Faucet can be matched in finish and style to any Waterstone contemporary style accessory. Sink side sprayer, garbage disposal air switch, dishwasher air gap or soap/lotion dispenser. 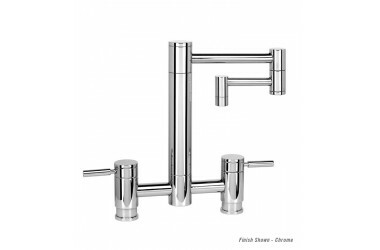 This sleek contemporary design is available in 31 stylish finishes and stainless steel. Every Waterstone Contemporary Bridge Faucet comes with a lifetime functional warranty.